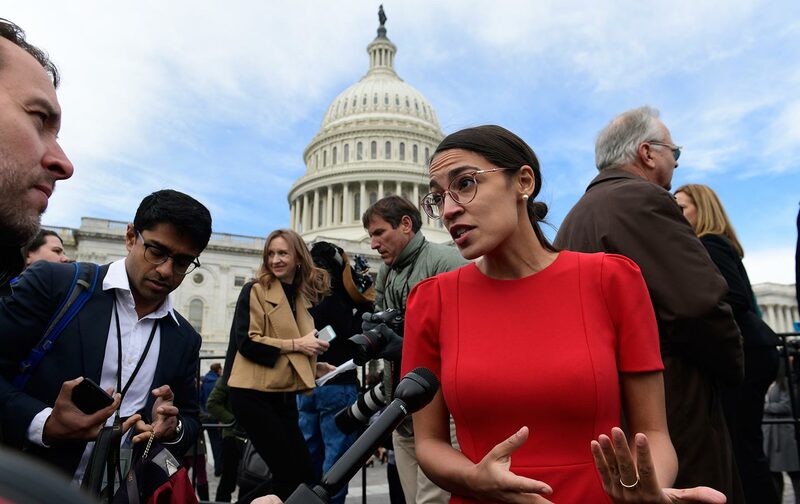 It’s finally here: Representative Alexandria Ocasio-Cortez and Senator Edward Markey introduced a Green New Deal resolution on Thursday. Their proposal would achieve net-zero greenhouse-gas emissions by creating millions of green jobs and investing in a new, clean-energy infrastructure. But how receptive will Americans be to such a radical reshaping of the economy? Our polling shows that the Green New Deal actually polls very well, even when people consider the potential costs. 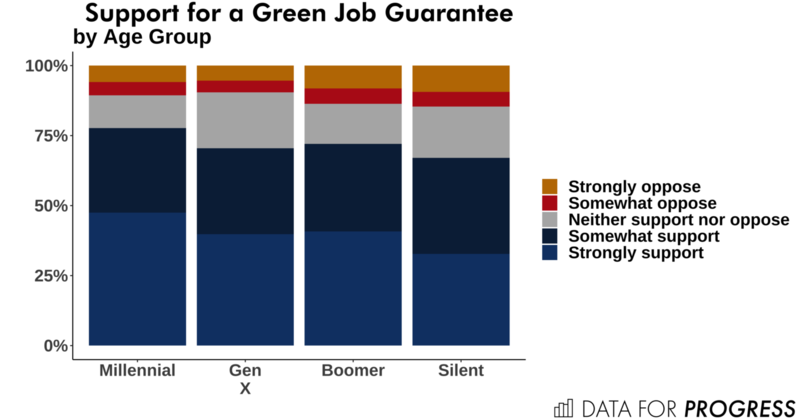 First, in our election survey last fall, we tested a green-job guarantee, which is a core component of the Green New Deal. The resolution released Thursday proposes “guaranteeing a job with a family-sustaining wage, adequate family and disability leave, paid vacations, and retirement security to all members of our society.” Mainstream Democratic think tanks have released differing plans on how the government could achieve this goal, though this push has upset some centrists and neoliberals. Would you support or oppose a Green New Deal to end fossil fuel use in the United States and have the government create clean energy jobs? The plan would be paid for by raising taxes, including a tax on carbon emissions. Our research shows that age strongly predicts support for the Green New Deal, even controlling for several variables like party, ideology, and race. One wonders if this is because young people, unlike older generations, must contemplate living through the worst effects of climate change a few decades down the line. Our polling suggests that millennials have greater levels of racial liberalism compared to those of other generations, and thus may be more receptive to this aspect of the Green New Deal as well. We asked a number of questions designed to uncover respondents’ nuanced racial attitudes. Those items are summarized here. By a large margin, millennials scored lowest on our measure of overall racial animus. Perhaps surprisingly, they were the only distinctive generation on this measure, with Generation X, Baby Boomers, and Silent Generation voters all reporting levels of racial animus within the margin of error of one another. Millennials are also more supportive of lead-abatement projects designed to combat environmental racism. Given that millennials are uniquely supportive of a green-jobs guarantee, the Green New Deal, and environmental- and racial-justice efforts, it’s no surprise that most activists pushing for the Green New Deal are young people. Groups like Sunrise and 350 are full of young activists who will live long enough to see consequences 50 years down the line. It’s also no surprise that young politicians, most notably Ocasio-Cortez, but also Representatives Ilhan Omar, Ayanna Pressley, and Joe Neguse, are leading the charge in Congress. The first step is complete: Congress has a Green New Deal proposal that tackles our climate, environmental, racial-justice, and economic-inequality crises. The next generation has changed the terms of the debate. Now it’s time to change the future—and convince older generations to help save the planet. Sean McElweeTwitterSean McElwee is a researcher and writer based in New York City, and co-founder of Data for Progress. Follow him on Twitter @SeanMcElwee. John RayTwitterJohn Ray is a senior political analyst at YouGov Blue. Follow him on Twitter @johnlray.